We’re excited to announce the much-anticipated Global Motion™ is now available to order. 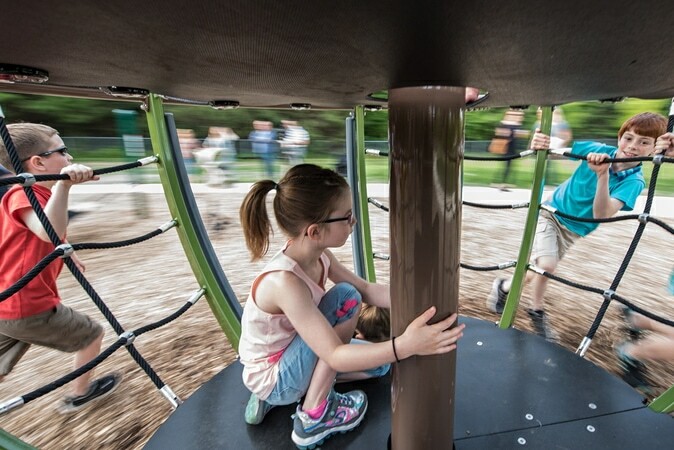 Children ages 5-12 who love to climb and turn have infinite play possibilities with Global Motion. 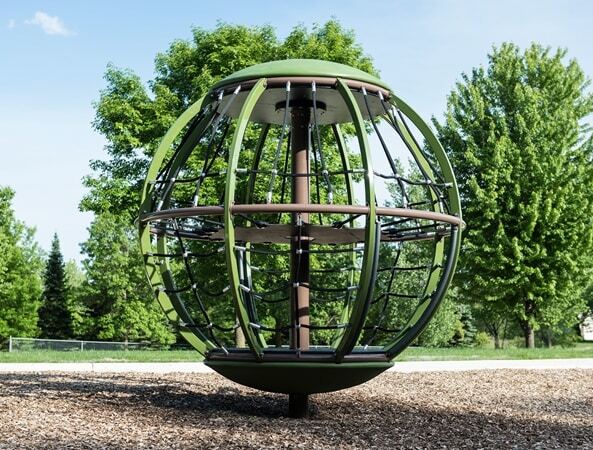 The inclusive Global Motion rotating climber invites an entire group to climb aboard and go for an orbital ride. Two openings on the bottom let kids easily enter and exit and the height of the lower deck is appropriate for wheelchair transfer, offering inclusive fun. 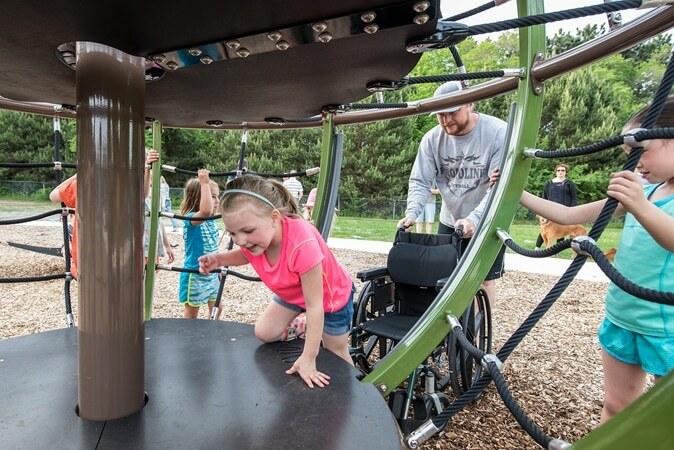 This freestanding rotating climber packs in plenty of fun activities — climbing, turning, running, gathering and socializing. Progressive resistance mechanism — patent-pending technology that keeps Global Motion at a fun, yet controllable speed. Multiple nets allows socializing on the two levels and pushing the globe is as much fun as riding. Interested in learning more about the Global Motion™? Read more here! Click here to request more information on the Global Motion™.